Finally the moment is here, Llagrima d’Or will again take over Sweden by storm, this time via our Danish company Pilvi Wines ApS aka The Winecurious-Shop. As we are opening an order window this week, I thought it is about time for a sales pitch. But instead of rambling about tasting notes I will tell you how it is made, with care, love and craftsmanship. Quality is not a coincidence, it is the result of careful choices on how you treat your vines and process your Cava. As I walk you through the life and birth of Llarima d’Or I will also go through the basic steps of method Champenoise, the classical method for producing sparkling wine. Every wine starts with the grapes, and as I explained in a post ‘Five things you should know about Cava’ last week, Cava is often made from the trio Xarello, Parellada and Macabeo. There are grape varieties that are indigenous to the climate and soil of Penedes, so they yield the best results from year to year. 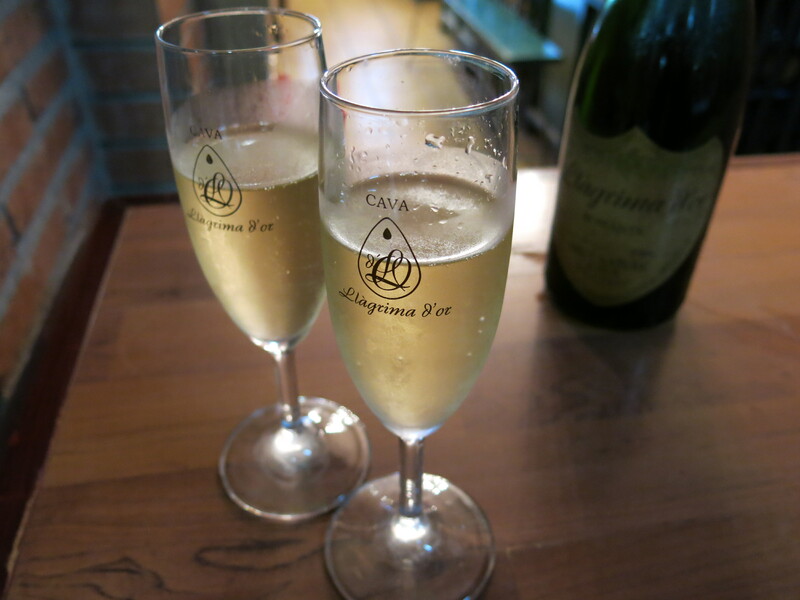 It is not common for a Cava house to own and use only their own grapes, many of them buy at least part from independent growers or other Cava producers (the best grapes are of course kept in-house). There are around 250 Cava producers in the area, and less than 10% of them control the production process from start to finish, but Llagrima d’Or is one of them. When the grapes are picked and pressed into juice, there is generally three or four phases (free run plus three presses). The first press is called Mosto Flor, and it is when the juice closest to the skin of the grape is released. This juice is considered to be delicate, lower in ph and less acidic than the juice closer to the seed of the grape (the presses used, is dependent of what kind of wine is being produced, so this it is not a general rule that the first press is the “best”, it is the winemakers knowledge on what suits the wine that counts). Llagrima d’Or is made solely from the first press of the grapes to produce a fresh and honest Cava that needs no sugar to hide bitterness in the taste. 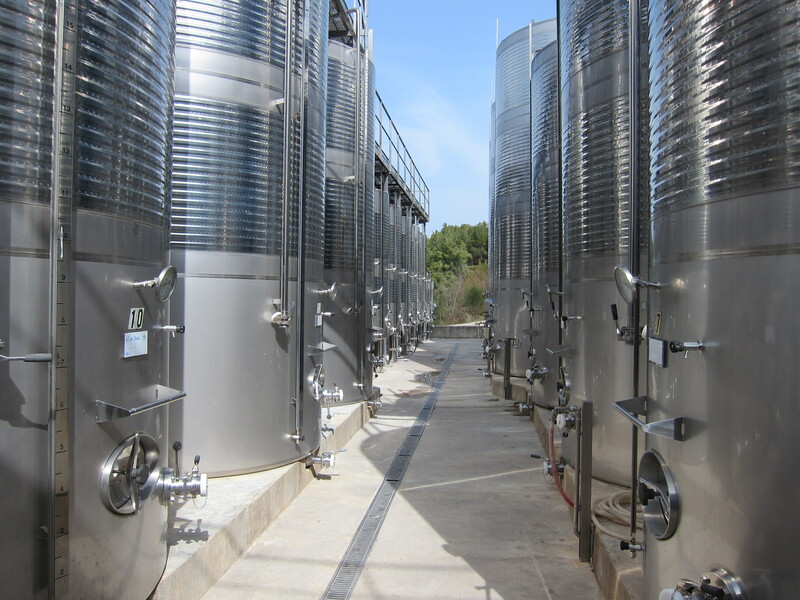 After the grape juice is pressed, the varieties are kept separate and fermented in steel tanks for the first 2-4 months. This is when the still wine is produced. After the first fermentation, the winemaker decides the mix he/she want to use and the Coupage (mix) is bottled for the second fermentation (with an addition of yeast cultivated from the grapes skin for creating the bubbles). The second fermentation (aging) is another key milestone in the development of a sparkling wine. It is not a common denominator that all wine that is aged longer tastes better, but it is the winemakers ability to recognize when the wine is at its peak (or for some wines ready to drink) that makes the difference. 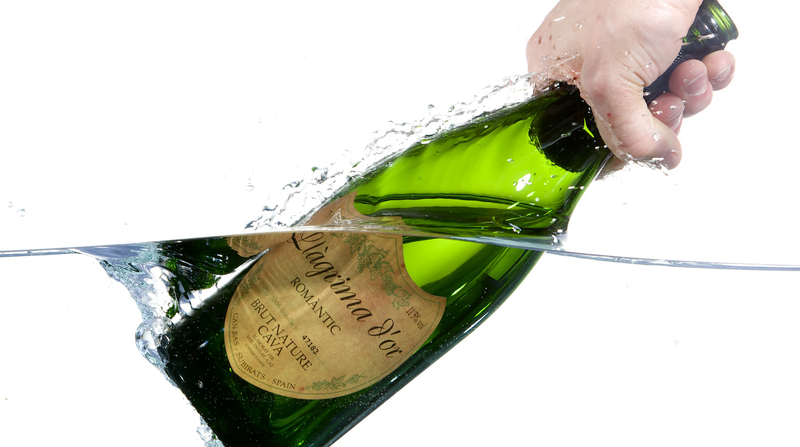 A Cava must be aged in the bottle for at least 9 months to be allowed to use the name Cava. Llagrima d’Or is aged for at least 30 months as it is the optimum time for this specific wine to develop. The long aging process produces delicate bubbles with flavors of brioche, peach and minerals. Llagrima d’Or is perfect for drinking within a few years from taking out of the cellar. And last but not least one of my favorite characteristics of this specific Cava: Llagrima d’Or is a Brut Nature, meaning it has less than 3g of residual sugar. There is no dosage (sugar liquid) added to hide any the flavors. So why do I love Llagrima d’Or? Because it’s and honest Cava, made from the grapes of the region, with knowledge and no compromises in the time that it takes for it to become absolutely perfect. And it does not cost an arm and a leg, 175 SEK a bottle for deliveries to Sweden, so this makes it a perfect five in my books (an unbiased opinion). So stay tuned for some more information on how to order. Posted on March 24, 2015 March 24, 2015 by soilethecuriousPosted in CompanyTagged Barcelona, Llagrima d'Or, Production, Sales, Sant Sadurni.